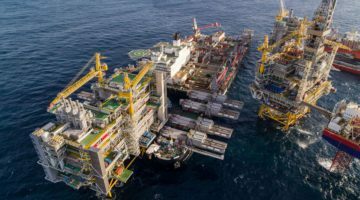 Teekay’s Petrojarl Knarr FPSO has been hit by a small fire less than a week after producing its first oil from the Knarr field in the North Sea offshore Norway. The Floating Production Storage and Offloading (FPSO) unit is chartered by BG Group from Teekay Corporation (NYSE: TK) for an initial period of 6 years, with extension options. BG Group confirmed the incident aboard the FPSO in a statement Tuesday morning. The statement read that the vessel reported a small fire in the technical room at approximately 01.45 hours Tuesday. The fire has been extinguished and the situation has been normalised, the statement said. All personnel are accounted for and there have been no injuries reported and there was no impact to the environment. BG Group says that incident response teams from BG Group and Teekay Petrojarl, as well as relevant authorities, have been mobilized according to plan. Production at the FPSO has been shut down, BG Group said. The Petrojarl Knarr is moored 120 kilometers offshore Norway at the Knarr oil field. Built at Samsung Heavy Industries in South Korea, the unit has a production capacity of 63,000 barrels of oil equivalent per day and a storage capacity of 800,000 barrels of oil. The unit represents Teekay’s largest newbuilding project to date. Just last week (March 18), BG Group and Teekay announced that the Petrojarl Knarr had produced its first oil from the field. In October, a small fire broke out aboard the vessel while it was docked at a yard in Norway prior to mobilization. Discovered in 2008, the Knarr oil field has estimated gross recoverable reserves of around 80 million barrels of oil equivalent with a production life of at least ten years. BG Group is the operator of the field with a 45% working interest. Partners include Idemitsu Petroleum Norge (25%), Wintershall Norge (20%) and DEA Norge AS (10%).